• Reduced slime (biofilm) on inside of tank. • Stops growth of bacteria which adhere to the walls of tank. • The triple layered UV stabilized tank has an insulated middle layer, to keep the water cooler even in the heat of summer. Low maintenance unit includes: Scala2 booster pump (0.35- 0.55kW max) with built-in sensor to constantly measure the discharge pressure. Select pick up at a local branch and we’ll call you to make delivery arrangements (Applicable for Western Cape only). 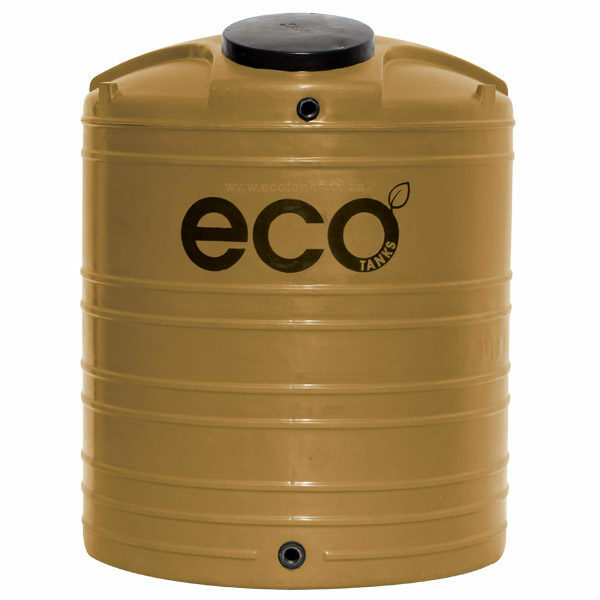 ECO water tank: • Reduced contamination in water. • Stops growth of bacteria which adhere to the walls of tanks. • Odourless and colourless treatment. • The triple layered UV stabilized tank has an insulated middle layer, to keep the water cooler even in the heat of summer. • Made from 100% virgin FDA approved polyethylene. • Completely safe for drinking water.